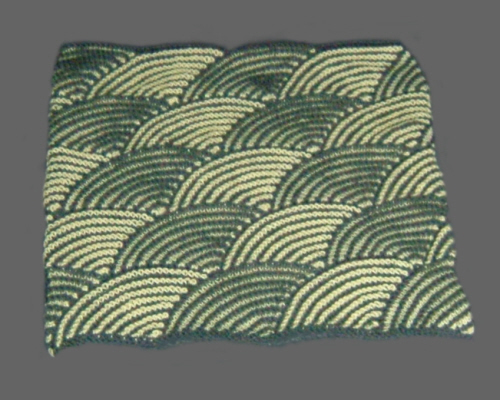 This cushion is great fun to make. The curved shapes appear as if by magic and there is almost no joining or finishing to be done. All the pieces are picked up from existing pieces and knitted on. When you look straight down on the cushion you see lots of shells (or fish-scales) that all look the same. When you look from an angle you see some of them in the light colour and others in the dark. 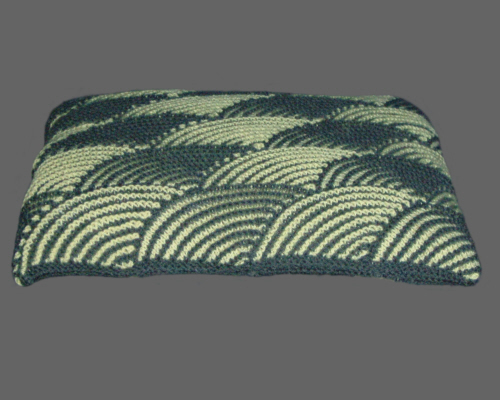 It is impossible to get square corners on this cushion. Some are rounded and some are pointed. There is no way round that. As with all illusions, it is best to keep the cushion as flat as possible. 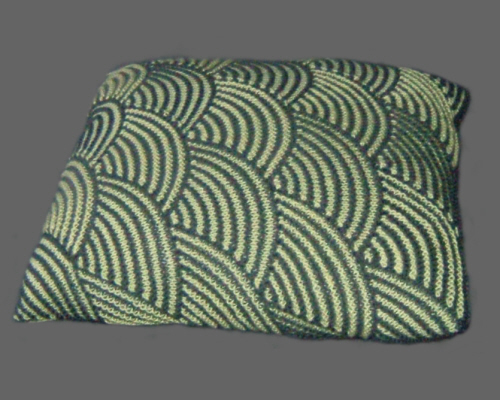 As the cushion gets fatter, the design becomes more distorted and the illusion is less obvious. Some of the photographs show this difference.